As the owner of any popular Website will tell you, the importance of keeping your content regularly updated (and relevant) cannot be underestimated. Common Sense, one might assume – but it is surprising how many Websites are planned and built with the very best intentions… only to then lie stagnant for weeks, months or even years after they are published. Google, Bing and the other major Search Engines all thrive on the provision of *new*, juicy Website content – and more importantly in most cases so do your own customers! As a real-world example, I have (literally) just published an additional, simple page for SB Holistic (a Sheffield-based holistic massage and aromatherapy specialist). 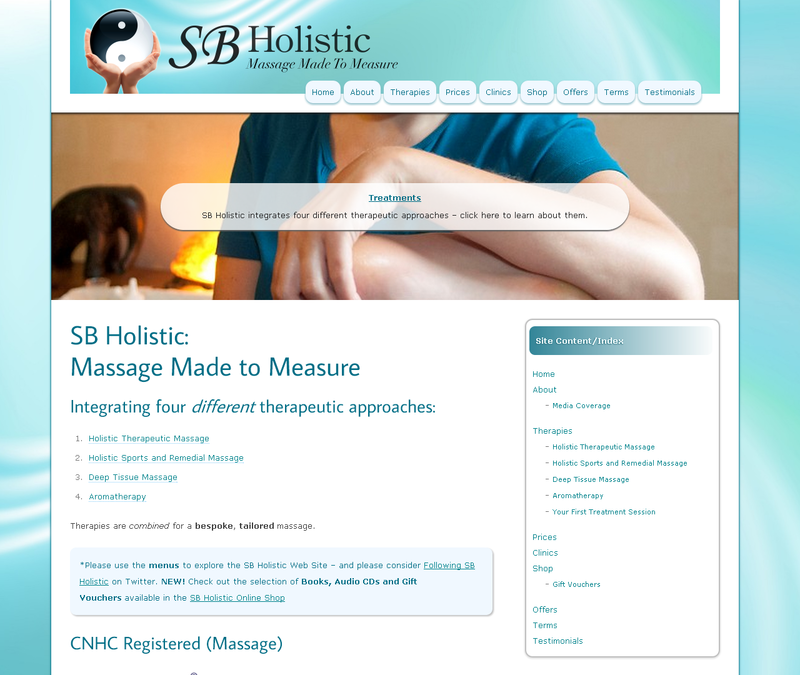 The Website itself (http://www.sbholistic.co.uk) has only been live for a few months – but even by this early stage the Client has wisely requested that new content be added. If you are reading this page and have your own Website, take a moment and think back to when you last updated your Website. If you struggle to remember, the chances are it will be at least several weeks ago – in which case now might be a good time to make up for lost ground! Finally, once your update(s) have/has been applied, be sure to pro-actively promote the newly published content on your own Social Media channels too.